A few weeks ago Dr Oetker asked me whether I would like to review some of their products. I owned up that I used lots of their goodies anyway, including their legendary cake release spray. I never make a bundt without the stuff! 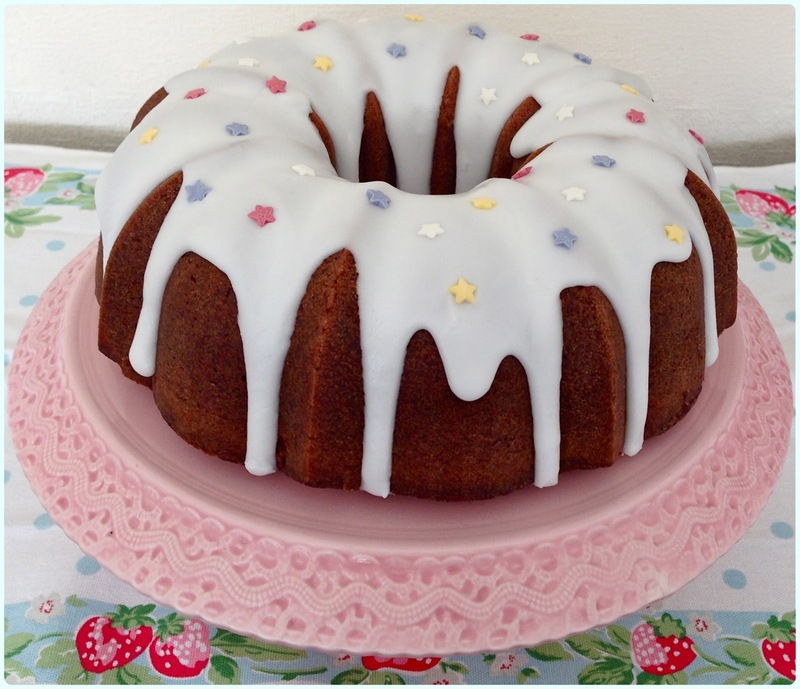 Last weekend our WI group had a cake stall at Horwich Carnival, so I offered to make a bundt for the occasion. One flavour that always goes down an absolute storm is my toffee and chocolate cake, plus this recipe makes a whopping centrepiece which is easy to cut into slices - perfect for a bake sale. I made it a little more 'carnival-worthy' with the pretty pastel stars which I got sent too. These were great as they didn't bleed into my white icing. I have to say that all the products I used worked like a dream, which is why I already use them! 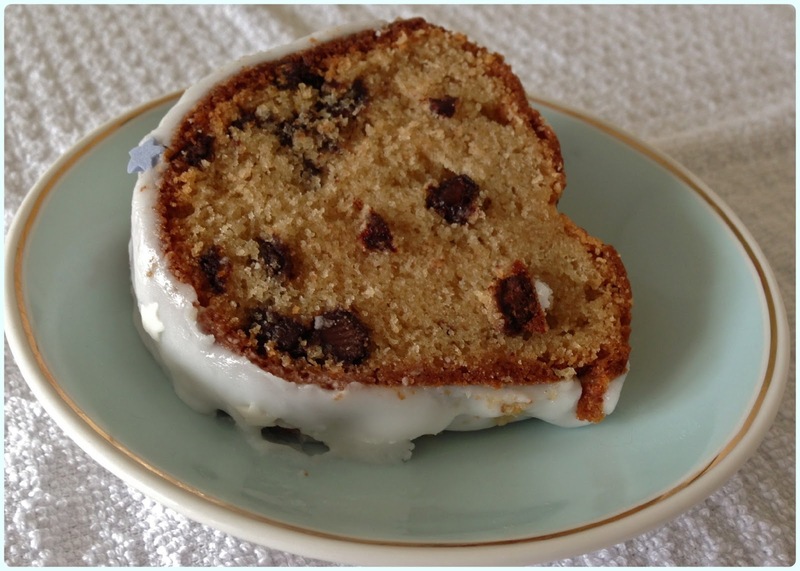 Prepare a regular sized bundt tin - 2.4l, 10 cup, 10 inch with Dr Oetker Cake Release spray and dust with flour. In a separate bowl, measure out the flour, bicarbonate of soda, salt and chocolate chunks. Sift in a third of the flour mix followed by half the yoghurt. Repeat this until everything is combined. Your chocolate chunks will be left in the sieve covered in flour - this stops them sinking. Stir in the chocolate chunks, ensuring even distribution. Pour the mix into a greased and floured tin. Push into any nooks and crannies! When the cake is fully cooled, mix the icing sugar with enough water to make a pouring consistency, and tip it over the cake! Whilst the icing is still wet, give it a smattering of Dr Oetker stars! What a gorgeous looking bundt! I'm also a fan of the Dr Oetker cake release spray, brilliant stuff!